In fiscal year 2016, our programs were supported by 591 volunteers who provided 36,112 hours of service. Turn your compassion into action and volunteer with us! Assistance League of Phoenix Community Volunteer program is designed to allow individuals and groups an opportunity to make an impact on the lives of children in the Phoenix area. Volunteers are placed according to interest, strengths and schedule. Opportunities are available for both Individuals and Groups. Are you a returning Community Volunteer wanting to schedule yourself or your group to volunteer? This link will take you to our volunteer portal that allows you to see the calendar. Shopping Buddy – work directly with children from Title I schools and help them shop for brand new school uniforms at our Philanthropic Center, designed like a department store, or directly at the schools via our mobile dressing center the Delivering Dreams Bus. Available August through March, weekday mornings. Can accommodate groups up to 8. Warehouse Assistance– help is needed in our warehouse to unpack, sort and process the items used in our programs. Available September through April. 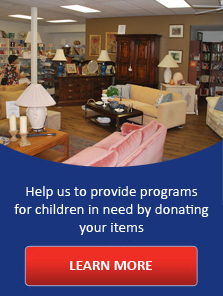 Sorting Donations– have fun in our upscale resale store with friends or family and help sort incoming donations from the community. Available year-round. Sales Floor– if you like retail and are a people-person, you would love volunteering on the sales floor of our thrift boutique. Available year-round during business hours, Tuesday thru Saturday, 10:00am to 4:00 pm. Special projects and other volunteer opportunities can be created as needed. Tell us what you’d like to do to help us fulfill our mission. Are you a college student seeking professional experience? Assistance League of Phoenix may have unpaid internship placements in the areas of administration, marketing and nonprofit management. Are you a skilled professional looking to donate your services? Tell us about your skill set and we’ll let you choose from a list of projects. Are you looking to maximize your impact as a volunteer? If so, become a member and allow your star to shine. In addition to volunteering in the programs you enjoy the most, as a member you’ll have voice on decisions governing the growth of ALP. You’ll use your skills and talents to manage programs and will have the opportunity to implement new ideas to meet ever increasing needs. 3. If a match is determined and a date and activity are selected, you’ll be scheduled to volunteer.